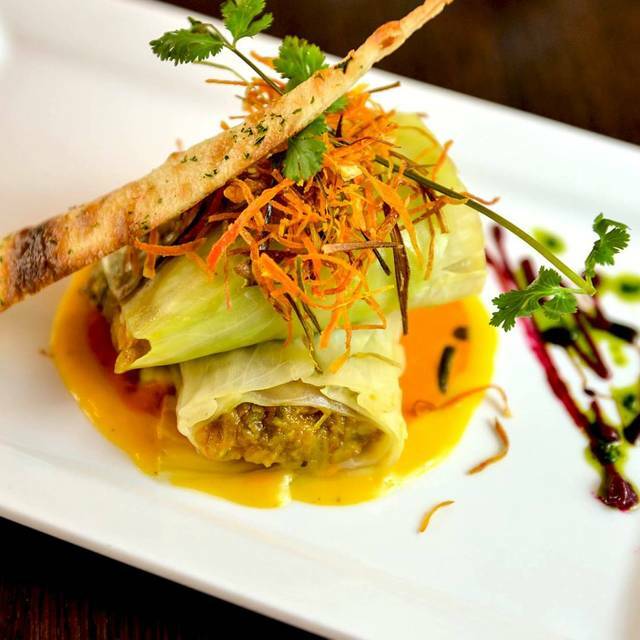 Taaza, derived from Urdu meaning “fresh”, is a modern Indian restaurant serving dishes made with local and organic ingredients. Nestled in historic Grandin Village, Taaza offers your family authentic Indian meals and Mediterranean specialties in a cozy atmosphere. Our creative gourmet menu and buffet features authentic appetizers and soups, small plates, vegan and gluten free meals, Indian classics, tandoori from the clay oven and traditional breads, desserts and beverages. Weekend buffet features Chicken or Goat Briyani, a Chat Station and Uttappam bar. Our chef also creates a special menu updated weekly. Taaza's full bar opens at 4 pm daily. We offer a banquet room and catering for large and small events, and prompt takeout for lunch or dinner. Fantastic food! The service could have been faster, but overall this is one of our favorite places. We ate there for our Valetines day dinner and it was wonderful! They had a special menu for the occasion. The food had a heart theme which was great to see. Taaza is one of our go-to’s in the Roanoke area. They have an amazing happy hour for drinks and appetizers (4-7), and their menu never disappoints. My favorite dish is the mango chicken, while my husband goes for the homestyle chicken most days. Garlic naan with the mint chutney is a MUST. Note that you must request the mint chutney because they don’t always bring it. This is the best! I also enjoy the salt and pepper mushrooms for an appetizer, or even a meal if you aren’t that hungry. If you are a drink connoisseur, I would encourage you to check out their specialty drinks. The majority of them are all made from scratch in-house and delicious! All around, a great place to dine and highly recommended! Spectacular! This is our second time eating there and it was amazing food both times. Just wish we lived closer. Dinner was fabulous and the wait staff was very knowledgeable about the menu. They made great recommendations for our meals and were very courteous about how they checked in with the table to allow my wife and I to have a great meal together without the kids. Will definitely return. Wonderful menu selection. Waitstaff very attentive. Vast improvement over former location. I only gave it 5 stars because they won't let me do more. The food, the staff, everything in this place is AMAZING!!!!!!!! The staff will not allow your water glass get past half full, the food is cooked exactly the way you want it, what more can one ask. Awesome Indian food! Friendly staff. Large wine serving with affordable wine choices. There were families there too. Tuesday is a special sampler platter night. I will ask for seating in a quieter room next time since there are options. It wasn't bad though. Delicious food and good environment for a dinner date. As always, our dining experience at Taaza was delectable! Had a wonderful time with my husband. The other couple had a change in plans, but it all worked out well and we enjoyed our meal. The manager Anthony is great and the food was good as usual. We love that everyone has options, from meat eaters to vegans, and it is all delicious. The food never disappoints and the service is just outstanding. We love Taaza! Food was fantastic, but boy is this place loud! Would have enjoyed the chance to talk with family during dinner. One of our favorite places! Always a delicious meal. Excellent and attentive service. We had a great experience with a new cuisine. had hoped for a little more "hand holding " as we tried to understand the menu. It was great food and a nice place to eat. 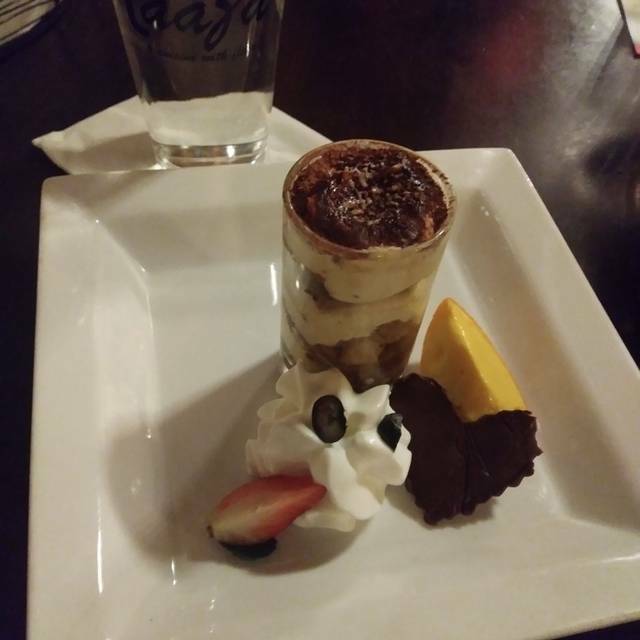 My husband and I chose Roanoke as the city to retire to at least partly based on the presence of Taaza, one of our favorite restaurants in the world. The food on this occasion included a yummy Indian chicken flatbread, the wonderful Kachumber salad, hot miilky Masala chai and my favorite bread, spinach kulcha. The food is luscious, redolent and beautifully presented. The service is attentive and friendly. We LOVE Taaza's new location, where they seem to be thriving! What a great place with excellent ambiance and service. The food was top notch! Fabulous food. Great atmosphere. They do need to check their online reservations more often. One of our favorite places for Saturday night dinners. This is one of our favorite restaurants in Roanoke. 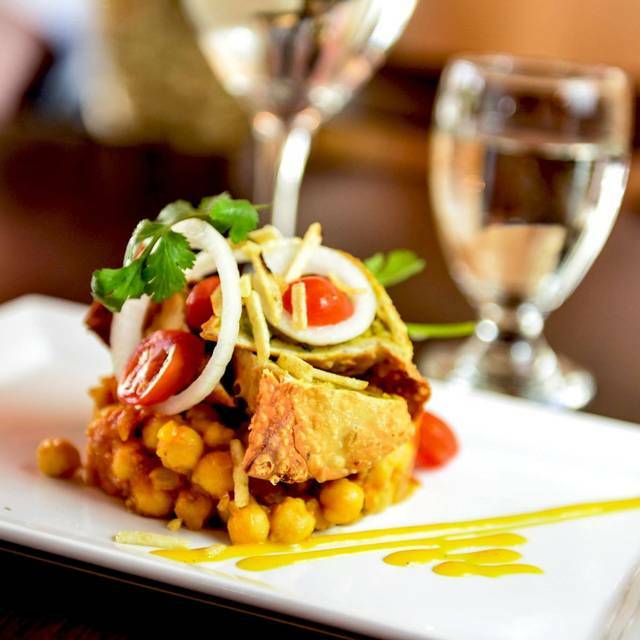 The atmosphere is warm and inviting and the food is the best Indian food in town. Their hummus and garlic naan is our favorite starter. 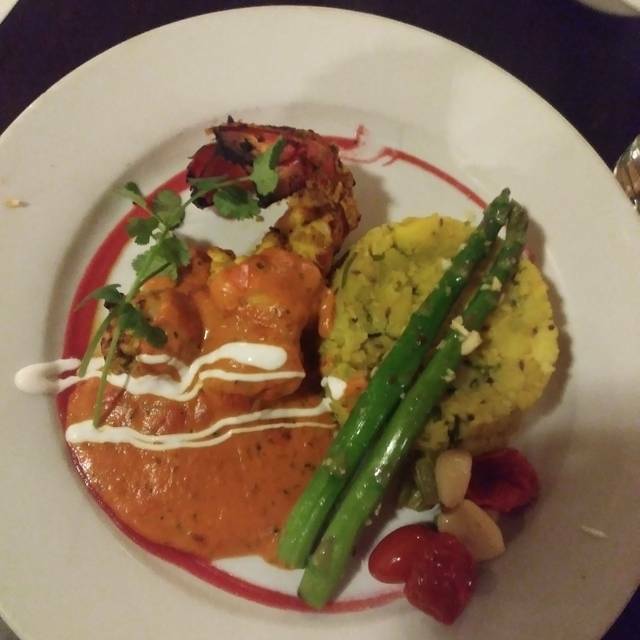 Their main dishes of Butter Chicken, Salmon Masala, and Saag Paneer are always excellent. I also like their creative cocktail choices. The martini made with blueberry chutney is my favorite. The food and drinks were delicious. I am vegan and there are so many amazing options! Incredible meal! Great service and ambiance... we'll definitely be coming back. They lost my reservation and did not have a table for us in the dining room, so we were put in a freezing cold back room, where, aside from the manager coming by a couple times, we did not have a single server come by our table. Tables that were seated 10-15 minutes after we were had their orders taken and food brought before us because they actually had waiters, whereas we had to hope the manager would come by again. My husband and I love Indian food and will sample it wherever we go. We lived the majority of our lives in SoCal where there are many such restaurants and our daughter lives in NYC, a noted foodie capital. In our opinion, Taaza is among the best Indian restaurants we've found. We love their new location in Grandin Village, the vibe of the restaurant is much more sophisticated and appealing. Happy hour offerings are exceptional, drink prices and the variety of appetizers make for a fun varied meal with friends. We had Thanksgiving at Taaza which was a delight. We much preferred the flavorful offerings to a typical turkey/stuffing meal. Great Indian food. Best in Roanoke. Wouldn't go anywhere else. Service was excellent. Decor is beautiful. Very good food. Wait staff is super efficient. Like the new location. Parking was easy but it was a Sunday night! Such a wonderful night! Food and staff were amazing! I come here all the time and recommend it to everyone who likes Indian food. It is always enjoyable to dine at Taaza. The food and service is excellent. Tushar is a great server. Don't forget to try the Kashmiri lamb chops and chicken tikka masala. Also try their Blueberry martini with an Indian touch! Yummy food with great friends! My wife and I very much enjoyed our dinner at Taaza.